As the small group of young Believers gathered around the table for our meeting that evening, it was easy to see that Sandy* was excited. Always effervescent, that evening she seemed particularly joyful. Our normal practice at the beginning of each training is to share prayer requests, testimonies, and to give a report on how we obeyed and put into practice what was learned in the previous session. The cause behind Sandy’s energy became obvious as she recounted her experience in leading a good friend to salvation through a personal relationship with Jesus Christ! John*, in a different, larger training group had another great testimony of victory after receiving some basic evangelism training. He shared that once he had received the training and committed to pass it on to others, he became concerned about who he would share with. His initial thoughts had been for family and friends, neighbors and those close to him. But while John would share with them, they had all heard some of his testimony before. John wanted to find some who had not heard. After traveling a short distance from his home to another village, he found that no one in that village had a relationship with Jesus Christ. While some had heard bits and pieces of the story, none were followers. So John began putting into practice what he had learned sharing the foundation basics of the Gospel. John’s testimony in our next training session was that in a village where before none followed, now two families had received Jesus Christ as their Lord and Savior! Just a short time previous, Sandy’s small group of Believers had met for their first session of Obedience Based Discipleship (OBD) training. Though most of them had been Believers for some time or even grown up with Christian families, they recognized a need to grow more in their walk with Christ and to have a greater impact for Him. The first session in OBD training begins with helping the Believer have confidence or assurance of their salvation and is followed by study of the “new” things we receive in Christ as a Believer (2 Cor 5:17). For Sandy’s group however, in the first session we didn’t proceed further than simply going over the very basic points of the Gospel message that is necessary for all to come to faith in Christ. After covering this content, we practiced with each person taking time to teach these same points with another in the training group. Following this I challenged each member of the group to take what we had learned or reviewed that evening and share with at least five other people before we next met. Most had that look of shock and worry, including Sandy. They were unsure of their ability to share this with others but having practiced it in the group and with some encouragement and prayer, they accepted the challenge. As Sandy testified during the start of our second session, she had been somewhat anxious to share with others and so she started with close friends. As Sandy shared the basic points of the Gospel and the certainty we can have in our salvation, one friend confided that this was something she had never done. The friend had grown up with a Christian family and attended church many times, but she had never taken any steps to personally invite Jesus Christ into her life as Lord and Savior. “I have never heard it explained this way” she remarked to Sandy. Together the two prayed and Sandy’s friend asked Jesus into her life for the first time. Sandy is a member of one of Two New Groups in OBD training for whom you have been praying. Her experience epitomizes what our intention is through such training. The focus is that what we learn or receive from God, we obey and put into practice in our own lives and through training others in the same. John is a member of a larger group of Believers also going through OBD training and each taking their training back to their homes and others around them to share. Praise God for how He has worked in John and Sandy’s lives and helped them reap an eternal harvest. Jesus tells us in John 14 that if we love Him, we will keep His commandments. In Luke 6, He asks the pointed question, “Why do you call me ‘Lord, Lord’ and don’t do the things I say?” Recognizing that none of us have yet achieved sinless perfection, OBD training is built around this foundation that to follow means to obey. What we learn, we put into play. To facilitate this, each OBD training is organized similarly along three roughly equal parts. In the first segment of time, we pray and worship, give testimony and are accountable to one another for what we learned and committed to put into practice in the previous session. For the second third of the training, we cover new material or new content. For most groups and especially new Believers, that ‘content’ at the start focuses on the very basics of following Christ – – assurance of salvation, what is prayer, how to read and study the Bible, how to make Disciples for Christ, what is the church and what are its functions, and how to have a daily committed Christian life. Once we have spent one third of our time on new content, we will stop training and start practicing. The third third of the meeting then is spent on this practice and commitment to put into play. The premise here is that if we are to obey, we must also pass along what we have learned to others asking them to obey as well (Matt 28:20; 2 Tim 2:2). The safest environment to start sharing what we have learned is within our own OBD group, so we first practice sharing or training one another. With that practice completed, and after prayer we make commitments to one another as to who and how many people we will share this with before our next training session. Generally our OBD training sessions will last between 1.5 and 2 hours – but regardless of the total length, each of the three segments is given roughly equal time. Such obedience and accountability does not come without a cost. The rewards are the blessing that comes from such obedience. When we obey, God tells us in our heart and nothing can match that. The rewards will also come in fruit, fruit that lasts or is eternal (John 15:16). At what price does this come? Not without denying ourselves, taking up our cross and following daily. It is a daily step of faith and commitment. The Two Groups mentioned previously are continuing to struggle with that daily cost. One of the two, has not met for training after the initial time. I am no longer asking them when they want to meet, they have self-filtered themselves out. I still love the Brothers and Sisters in that group, and pray for them. And maybe one day, God will work in some of their hearts in such a way that they will move forward in a greater commitment to be discipled and obedient. Some in the second group (the group Sandy is in) are also struggling but others remain committed. In John’s group the story is a bit different. Undoubtedly some in the group are also still struggling with simply the daily obedience of putting into practice what they have learned. On average in an OBD training group, only around 20% will actually follow through with immediate obedience. But for John’s group some are being faithful. 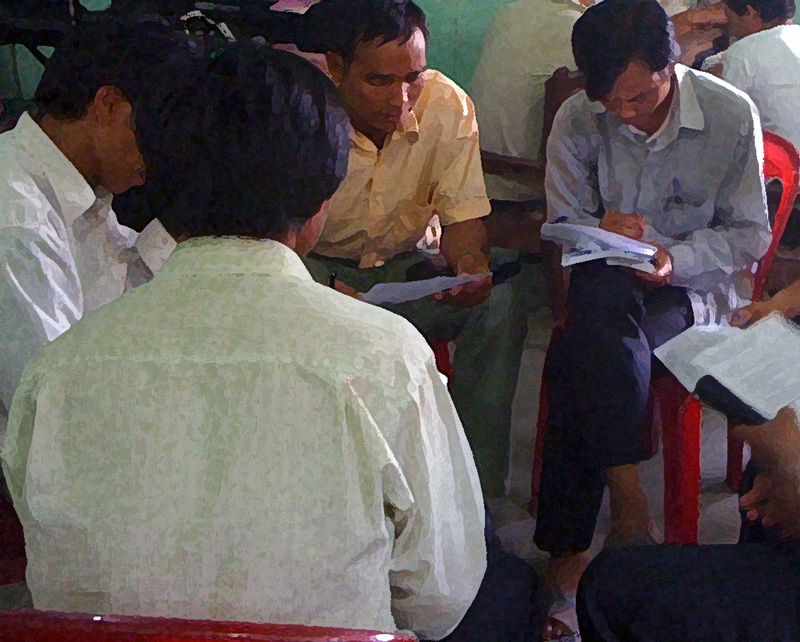 After receiving initial vision casting and evangelism training they gave reports in their next training session of spreading the Gospel more broadly (among the reports was that of John’s going to a previously unreached village). In their next training session, even more time was spent on evangelism training and the first lesson within the OBD training. Much of the focus was on practice in these two areas, and much time in prayer for one another and that which He was calling us to obey. At the end of that training session, the group of around 25 collectively made commitments to share the Gospel with 250 people and to train 269 people with the same OBD training they had received! 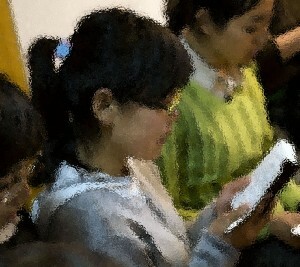 Passionate in following God and committed to obey, they went out excited. But you can be sure Satan was not pleased as he immediately began to put up opposition. Some from this group are being picked up and questioned by the police, others are finding opposition from the people in their towns and villages. While these Believers are not unacquainted with opposition and persecution, this is a critical juncture as they have made commitments to put into practice obedience to the Great Commission with more intentionality. None of us seek after persecution, but Jesus told us many times to expect others to hate us and to know we will face opposition. Our prayer for our Brothers and Sisters from this group is that they will remain faithful and that this time of persecution will result in greater boldness for the glory of God. We pray that such opposition will in no way serve to distract us in moving forward to win the lost, disciple Believers and start churches.